If you live in the US, click on your state to see if you can buy wind-generated power (so to speak) from New Wind Energy. Georgia Power plans to build two new nuclear reactors at Plant Vogtle in Waynesboro. Read about others at the Nuclear Energy Institute (NEI) site. NEI's Vision 2020 specifies having enough new nuclear power plants either under order, in construction, or built to provide 50,000 MW of additional electricity generating capacity to the U.S. power grid by 2020. Good news! Nuclear power is the best answer to our projected energy shortage. The Business & Media Institute notes journalists contribute to power gridlock. Waynesboro, GA is at the red star. The large spot directly across the Savannah River from Waynesboro is the Savannah River Plant, a federal plant for the generation of nuclear materials for bombs, etc. Irrelevant trivia question: Which is larger, in terms of land area? The country of Georgia or the state of Georgia? Answer in the continuation. Perpetual motion machine to solve energy crisis? Orbo produces free, clean and constant energy - that is our claim. By free we mean that the energy produced is done so without recourse to external source. By clean we mean that during operation the technology produces no emissions. By constant we mean that with the exception of mechanical failure the technology will continue to operate indefinitely. The sum of these claims for our Orbo technology is a violation of the principle of conservation of energy, perhaps the most fundamental of scientific principles. The principle of the conservation of energy states that energy can neither be created or destroyed, it can only change form. Because of the revolutionary nature of our claim, not only to the world of science but to the world in general, Steorn issued a challenge to the scientific community in August 2006 to test our technology and report their findings. The process of validation that has resulted from this challenge is currently underway, with results expected by the end of 2007. TechNewsWorld notes there are doubters as to its veracity and practicality. And, there were problems with the demo. Remember when gas was not a major budget item? Gas crossed the $3/gal. barrier in Atlanta yesterday, and was selling for as much as $3.25 for regular at some stations last evening. (It could be found for $2.99 at a few places Sat. AM.) The reasons are harder to understand vs. after Katrina. What's going on? See the continuation for some possible clues. Alterra Bioenergy Corp.'s selection of Plains — the hometown of former President Jimmy Carter — for its 30-million-gallon biodiesel plant pushes Georgia to the forefront of the Southeast's still-young renewable energy industry. By November, Alterra should be able to blend diesel with oil from canola, cotton and sunflower seeds for sale to the South's truckers and tractor drivers. Ragauskas and his team of researchers at Georgia Tech are perfecting a method to break down pine chips into ethanol. It begins with extracting the sugars that are a part of the wood's chemistry. “Break down the sugars -- down to the glucose," Ragauskas explained to 11Alive's Marc Pickard. “And once you have glucose, then you're in the regime of fermenting the sugars to ethanol, and then it's a simple separation process." With the expected advancements in science, Dr. Ragauskas said he expects ethanol from pine trees to perform as well as gasoline -- with the advantage of being a renewable resource -- at a cost of around $1.10 a gallon. The spike in fuel prices caused by disruption to the oil industry along the Gulf Coast after Hurricane Katrina last year provided new traction within the Defense Department to examine what could be done to make the U.S. military more energy efficient. A simple copper antenna designed to have long-lived resonance could transfer energy to a laptop with its own antenna resonating at the same frequency. The computer would be truly wireless. Hope they're also studying any health ramifications. 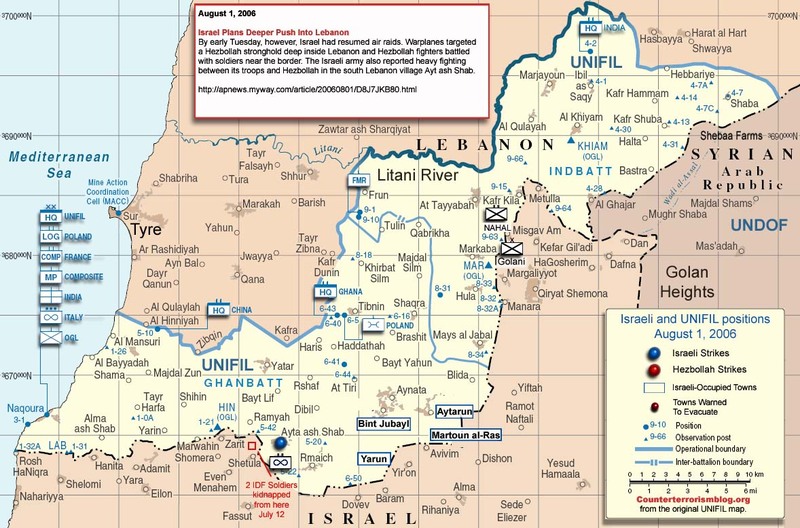 The 1973 oil crisis began in earnest on October 17, 1973, when the members of Organization of Arab Petroleum Exporting Countries (OAPEC, consisting of the Arab members of OPEC plus Egypt and Syria) announced, as a result of the ongoing Yom Kippur War, that they would no longer ship petroleum to nations that had supported Israel in its conflict with Syria and Egypt (i.e., to the United States and its allies in Western Europe). The shortages in the United States had little to do with the embargo. Price controls imposed in August 1971 by the Nixon administration prevented major oil companies from passing on the full cost of imported crude oil to consumers at the pump. "Big Oil" did the only sensible thing: It cut back on imports and stopped selling oil to independent service stations in order to keep its own franchisees supplied. By the summer of 1973, gasoline prices were exploding, pumps were running dry, and long lines were commonplace. And that was before the Arab oil embargo or production cutbacks were announced. Congress responded by making matters worse with the September 1973 Emergency Petroleum Allocation Act. Gasoline distribution would henceforth be rationed and the price of "new" oil - including imports - was decontrolled even though "old" oil was not. Perversely enough, this exacerbated the shortages that the EPAA was trying to remedy. That's because long-term contracts - the means by which most oil was sold at the time - did not rise to meet spot prices. Contract holders thus had a strong incentive to stockpile as much oil as they could at the very time when inventories should have been released on the market. This graph shows what happened to the cost of oil during the embargo. Those of us old enough to have lived through this have uncomfortable memories. We don't like paying high prices today, but at least we can buy all the gas we want and can afford. 7-Eleven Inc. will drop Venezuelan-controlled Citgo Petroelum Corp. as its gasoline supplier, the convenience store operator said on Wednesday, a week after Venezuelan President Hugo Chavez called President Bush "the devil." 7-Eleven said in a statement it was switching to its own branded gasoline at more than 2,100 company-owned and franchise U.S. stores. Citgo has been 7-Eleven's gasoline supplier for 20 years. "Regardless of politics, we sympathize with many Americans' concerns over derogatory comments about our country and its leadership recently made by Venezuela's President Hugo Chavez," 7-Eleven said in a statement. Will it be a good thing if one of our limited sources of non-Arab oil is redirected elsewhere?